Growing Heart Farm is community focused farm dedicated to sustainable living and education. 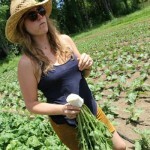 We host a young farmer incubator and grow mixed vegetables for both market and our community. The farm is host to an active Agri-tourism program which includes rentals and retreats. 75 miles north of NYC we are within walking distance of the Harlem Valley Wingdale Metro North train station. Learn about our history on our blog. Ian Nichols and Marisa Barone are joining the farm this year! We follow a bottom-up, soil-based approach to agriculture, using practices that help our soils hold nutrients and build healthy biology, resulting in resilient plants and nutritious vegetables. Nothing would get done around here without microbiology! We try to cultivate a healthy soil biome by inoculating crops with beneficial bacteria and limiting tillage, favoring hand tools, and using a walk-behind, two-wheel tractor which is lighter on the soil. We plant cover crops like buckwheat between crop rotations and to keep living roots in the soil when ground is out of production. We use a mix of grasses and legumes whose deep, intricate root systems prevent erosion and the leaching of nutrients into waterways. We farm in an area called The Great Swamp, so it is critical that the minerals so necessary to the production of healthy plants, yet so destructive to aquatic ecosystems in concentration, stay locked in our soils. The legumes in our cover crop mix work symbiotically with soil bacteria to sequester atmospheric nitrogen (a critical plant nutrient) and make it plant-usable. When plants uptake nutrients like nitrogen into their structure, they get “fixed” to the carbon in the roots of the plants until the cover crop is turned back into the soil. As it breaks down, the nitrogen and other nutrients taken up by the cover crop then become available to other plants, enriching the soil and reducing the amount of fertility that needs to be put down the following season. This living amendment or “green manure” also attracts pollinators and provides habitat for other wildlife and beneficial insects. The role that living roots can play in healing our soils cannot be underestimated. In addition to the fertility recycled by cover cropping, we amend our soils annually for optimal fertility accounting for the nutrients extracted by the previous year’s crops. We take soil tests to identify specific nutrient deficiencies and apply a mixture of slow-release, OMRI approved mineral and organic fertilizers to create the healthiest growing conditions to grow the most nutritious food possible! 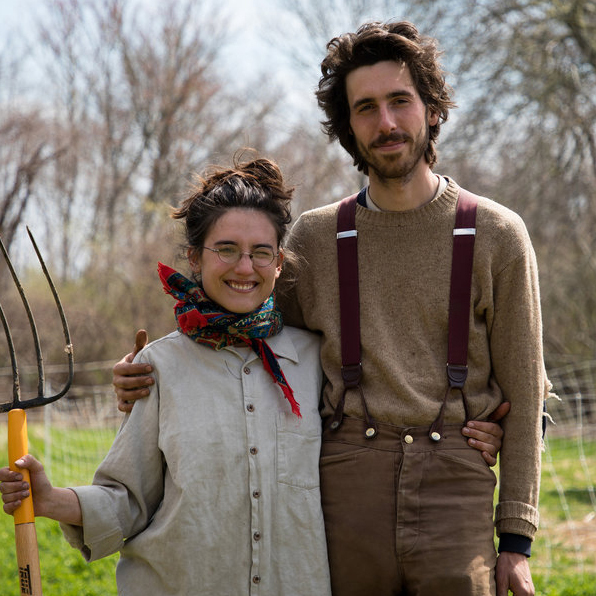 Lewis Kofsky & Jani Moon met on the farm and years later fell in love. 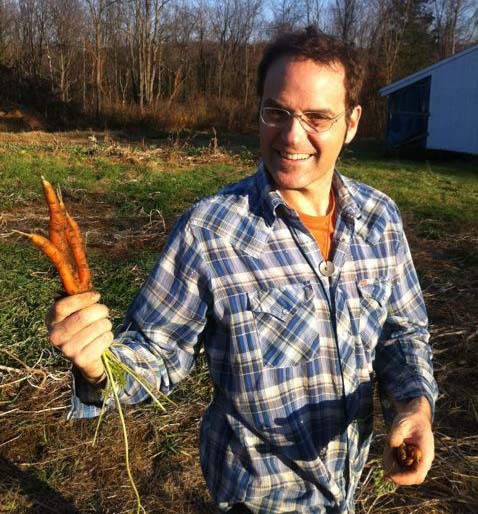 Lewis is the founder of Growing Heart Farm where he focuses his energies on infrastructure, growing, and hosting. He also works for Elmo at Sesame Workshop. He is Stanford trained in design engineering and appropriate technology and is involved in a wide range of permaculture and building activities. Jani is the boss goddess, momma hen on the farm. By day she trains the top industry leaders in business, radio, and TV, transforming up-and-coming media personalities into highly desirable star talent. Her other karmic callings include organizing deeply spiritual, transformational events, women’s circles and leading modern day rituals and ceremonies. Also as a trained kinesiologist, she does deep energy clearing to help open the space for new magical manifestations. Abby Paloma joined Growing Heart Farm in the midst of their first season. She loves growing real food and feeding her community with veggies and herbs grown from the heart. Abby Paloma is graduate from NYU with a self-designed BA in neuroscience and transformational psychology. She also is a doctor of acupuncture, a certified OM yoga teacher, holds Reiki certification and practices a variety of complimentary healing modalities. A passionate teacher and healer, Abby, splits time between NYC and Pawling, NY where she is growing the thriving community around Growing Heart Farm through facilitating events, workshops and retreats. 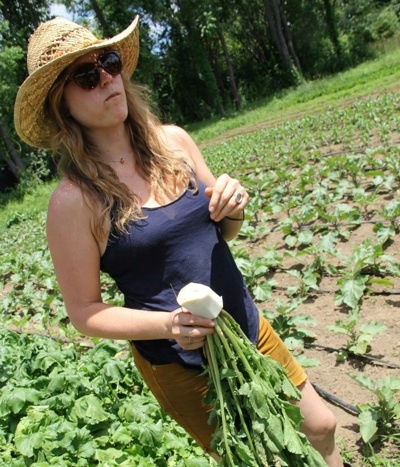 You can find Abby teaching yoga classes and workshops bi-coastally or nurturing the medicinal herb garden, concocting magical salves or making kale chips on the farm.